Danny vs. the internet: Peace index, doesn't look good for the south. 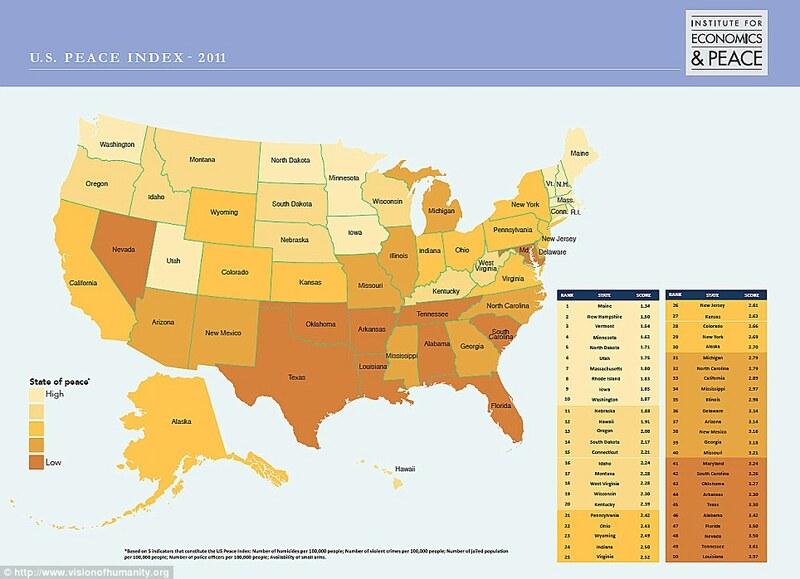 An Australian think tank has come up with a "Peace index" that rates/ranks each US state. 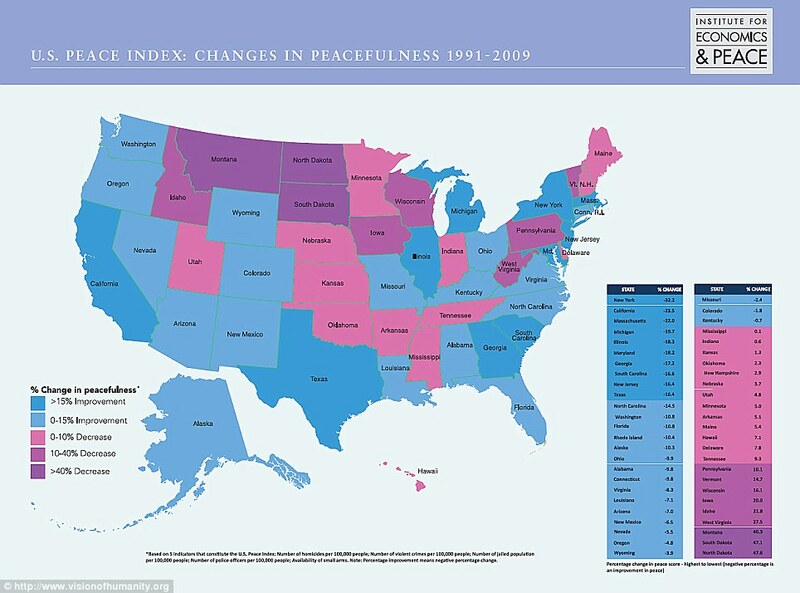 It found South states were the least peaceful and Northeast states were the most peaceful. The index defines peace as the ‘absence of violence’ and looks at factors including homicide rates, violent crimes, jail populations, police officer numbers and small arms availability. Also studied/mapped was "‘total cost of violence’, which reflects the cost of police, prison, judicial and medical services associated with violent crime and homicide. This also considers lost productivity and wages, giving Maine a total cost per person of $656 – just over a quarter the cost in Louisiana of $2,458." I'm typing this just before our Federal Government shuts down due to not agreeing on a budget, oh the irony.